Comets are comprised of ice, rock and frozen gases like carbon monoxide left over from the formation of the solar system. Comet ISON was discovered by Vitali Nevski and Artyom Novichonok on the 21st September 2012, two amateur Russian astronomers. AU) from the Sun. From the Comet’s trajectory it was deduced that ISON has never entered our solar system before. 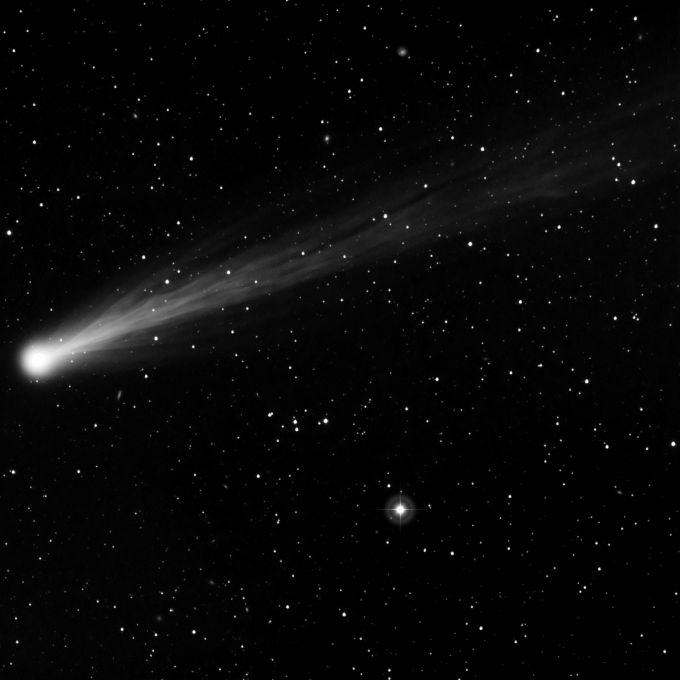 The comet was named after the International Scientific Optical Network the telescope array used by Vitali and Artyom in the comet’s discovery. Comet ISON’s nucleus is estimated to be several kilometres across but is losing mass though its tail. At its perihelion ISON will be moving at a speed of 1.3 million kmph. Comet ISON has travelled from the Oort Cloud 10 trillion km from the Sun taking more than 10,000 years to reach the interior of our solar system. On the 28th of November 2013 Comet ISON will be at its closest point (Perihelion) to the Sun at a distance of 1.2 million km. If Comet ISON survives the close encounter with the Sun it will be closest to the Earth on the 26th December at a distance of 62 million km (0.42 AU). Should ISON emerge from its then it should be visible from the 3rd of December though until January. Heat at “perihelion” is expected to exceed 2,000C.